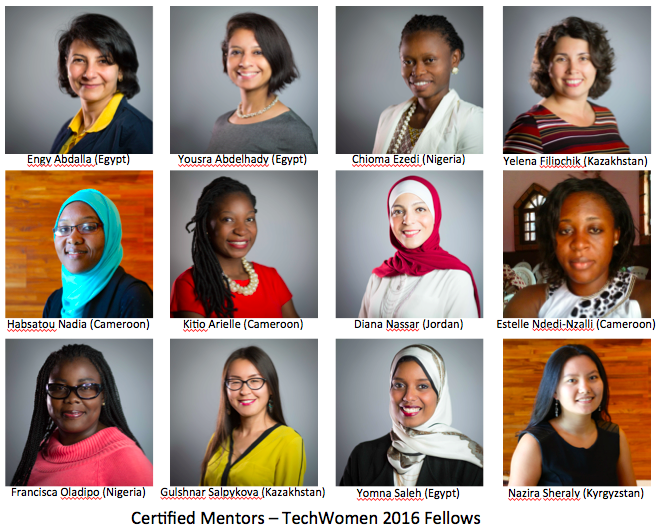 The 90 TechWomen 2016 Fellows returned to their 19 countries in Africa, the Middle East, and Central Asia. After a very busy month in the San Francisco Bay Area and a week in Washington DC, they have been been reconnecting with home and family. Some of us mentors in the Silicon Valley have continued working remotely with our mentees since we last saw them in Washington DC. 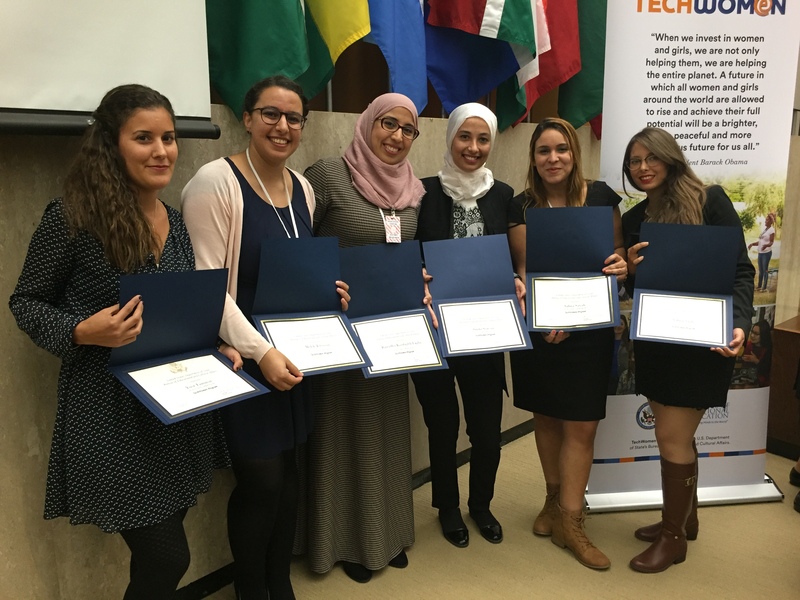 Two groups with whom I have actively continued to work are Team Tunisia (the development group of six from Tunis, plus three TechWomen mentors), and the TechWomen 2016 Fellows who have become Certified Mentors with my company, Mentoring Standard. Team Tunisia has met remotely twice already and is busily developing plans, branding, and social media for WAKTECH. WAKTECH will developing a software application plus community system to improve public transport in Tunis. 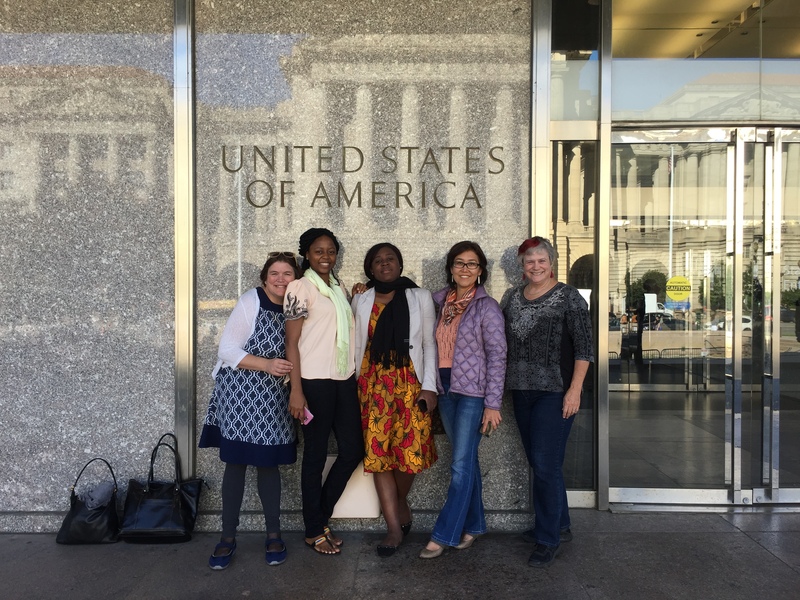 Our team won one of the TechWomen Pitch Day seed grants last month and we are now looking for additional sources of funding and support. 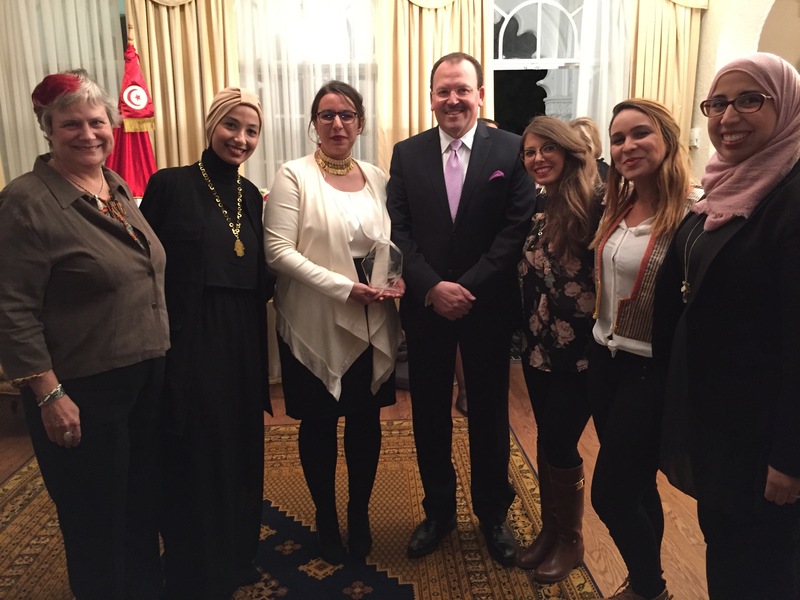 While we were in Washington DC, Team Tunisia was able to meet His Excellency Fayçal Gouia, Tunisia’s Ambassador to the United States. We brought along our TechWomen trophy to show him! I am very proud of all of them! More information about each of these remarkable mentors is on Mentoring Standard’s Honor Roll.